plus a fantastic new name. Being an architect, I can appreciate the good contractor. Green Sky and Keith in particular are exceptionally good and trustworthy. Combined with the excellent product, the choice is easy. I have to agree with Leigh's comments, Keith came out and did an on-site assessment of our shading issues using a SkyEye meter. He was the only installer out of over half a dozen to do so. He assessed that although there was some issues it was still viable to install a solar system. This was far better than have sales personnel doing a review from their desks using Near Maps! After explaining what I could expect from the system and recommending using micro inverters to overcome the shading issues, I was very happy to proceed with Green Sky and Keith's team, advice I have been after for last 5-6 weeks of talking to other companies. Looking forward to the installation in two weeks. I could not recommend Keith and Green Sky more highly, particularly if there are shading issues. I highly recommend Green Sky Australia under the direction of Keith who visited our site to ascertain the solar system appropriate for our needs and budget. After careful calculations and making observations about all the possible sites, Keith advised that our site is not suitable for a solar installation. He explained in detail why, and I commend his integrity for not attempting to sell me something that would not be appropriate at all. Keith was courteous, friendly, forthright and clear in all his communications and clearly valued his company, the quality of expertise and the first class outcomes he achieves. We highly recommend Green Sky Australia if you are considering solar. 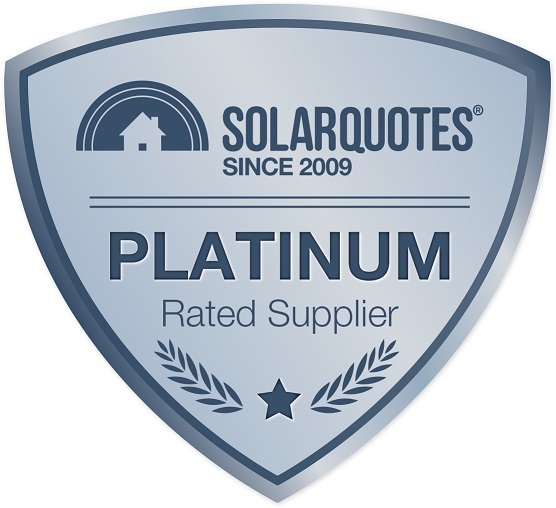 We called several solar company recommended by "Solar Quotes". Green Sky responded very quickly and is the most professional in the 4 quotations. We eventually decided on a 26 panel Sunpower/Fronius System after a few iterations. No sales gimmicks, horror stories on failed installations, no pooping on other companies, etc. In fact on one of the quotes, a mistake on their part resulted in more than a $1000 lower in price and they were willing to stand by that price. We could not let them take a loss and we were happy for them to correct the price. Another company offered a lower price and sooner installation but we stuck with green Sky from the reviews we had read. The installation was very professional with the minimal fuss. It was a large system, so was going to take a couple of days. However, due to high winds, it was not safe to work on a double storey roof and they had to stop half way through the second day. And then one of the crew was sick and Keith, the boss man at Green Sky came out himself and carried all 26 panels (20 kg each) up to the roof. That is true commitment to the company promised schedule! The Admin staff were very efficient with providing paperwork and ensuring post-system install certification for the claiming the government rebate. The Solar inspector was booked and the installation approved much quicker than expected. And similarly our energy provider was contacted and the smart meter was re-programmed to take in the Solar output into the grid. I initially did some homework and had a few quotes using the Solar quotes website, however after that I realised that I didn't really know what I wanted or needed, so had a bit of difficultly choosing the right system for my needs, using just the quotes. 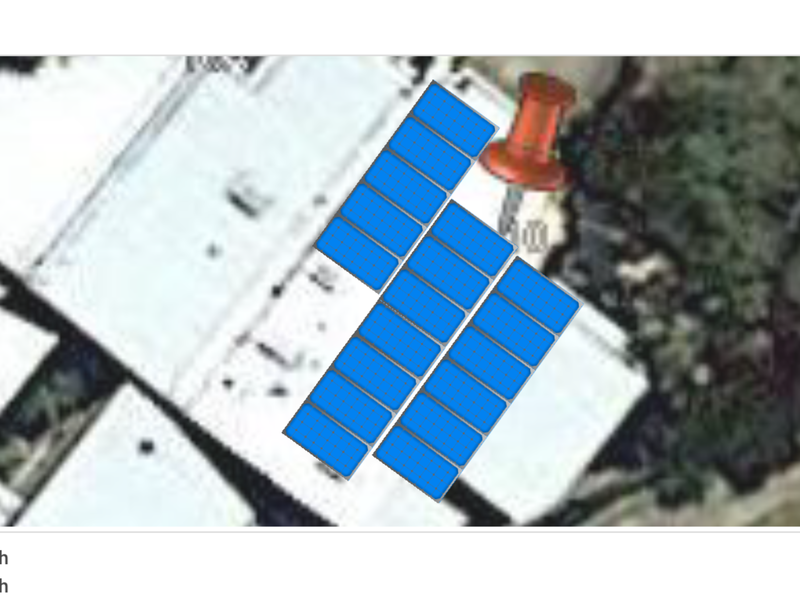 I therefore went back to the drawing board, I used a lot of the information I gained from the Solar quotes web site, a lot of information from the internet and some of the information from the initial quotes to work out exactly what I wanted. I chose enphase microinverters for safety and upgrade options. Install took 6 weeks but I was happy to wait knowing I was dealing with a larger company as ongoing support seems like it will be important. I also was waiting for confirmation of Vic Government subsidy which took 5 weeks. When it came time, the Installers were prompt and very good. The Admin staff were very efficient with providing paperwork and ensuring post-system install certification etc went smoothly. From start to finish we have been extremely happy with the service we have received from Greensky. We had quotes and visits from quite a few different solar companies, but felt that Greensky offered us the best value for money for the type of system we wanted to install, and their customer service was excellent. Keith answered all our questions and was more than happy to change our quote when we made some alterations to the system we wanted, and communication from Louise in the office was exceptional. Even after the system was installed, Greensky kept us informed and up to date on the electrical inspection and all the approvals from Ausnet, aswell as all of the paperwork for our state government rebate. On our initial inquiry with Solar Quotes we were sent details of three installers that have been highly regarded and that operate in our area. After initial visits, it appear to us that one of them was not really interested and we kept in touch with other two Green Sky Australia and Space Solar. It was a very hard decision in the end and there were minuscule shades that make us decide to go with Green Sky. I sincerely have to commend both of these companies for their professional conduct and help in making decision. In the end we decided to use QCell 305W panels with Fronius inverter and smart meter. 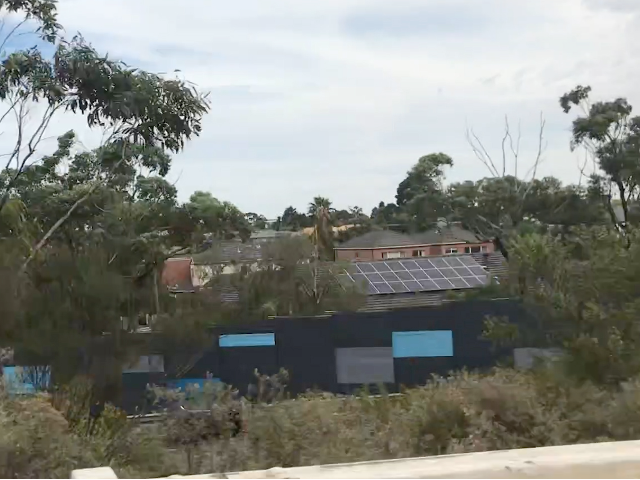 Without going into too many details, in our case it was a bit more complicated as previous owner (who happened to work in RMIT electronic laboratories before his retirement) had all three phases connected in the house so we needed three phase inverter. I believe that connecting to the switch board was an interesting exercise (to put it mildly), but installer handled it greatly. The three suppliers quoting for our system were pretty competitive and very informative. 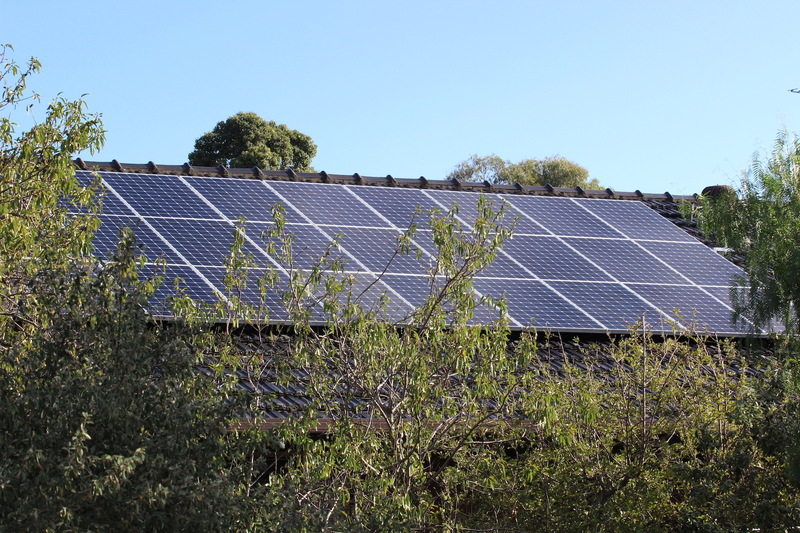 I learnt a lot through the process and ended up with two quotes for exactly the same system: 14 x LG 330kw panels (total of 4.6kw), individual enphase inverters, and the connecting system, together with the website enabled monitoring system. The two quotes were very close in price, however I managed to persuade Green Sky to drop their price a bit. The clinching factor however was their guarantee of 15 years (as I recall) covering the construction of the array, with the other quote offering 6.5 years guarantee of workmanship. On the negative side, Green Sky's paperwork was slow, setting out the exact features and specifications - some of which arrived after the installation. I would have liked their paperwork completed ahead of the installation, to be sure I was going to get what I wanted. The crew installing the system were terrific and we are more than happy with the whole package. Still waiting on the electricity supplier to recognise the system and begin giving us a feed-in tariff - however we were told to expect a delay. The inspector signed off on the system a week ago and declared that the array had been very well put together. Finn, I did shoot you an email to advise of this decision, thanking you for your service and follow up. I have since recommended you to several friends exploring the installation of solar panels by the way.